An original 1940’s beach cottage garden transformation breathes new life to this tired suburban corner block on the Northern Beaches of Sydney. 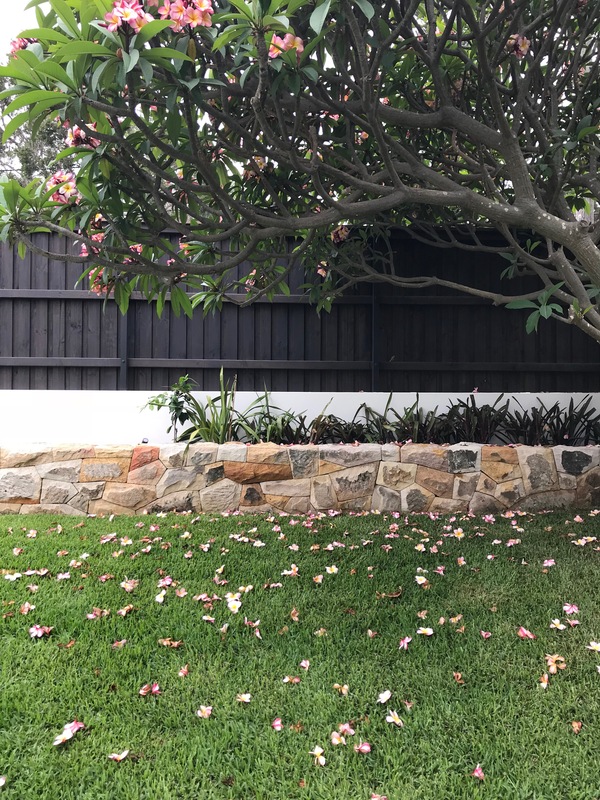 The existing garden contained two beautiful old frangipani trees – one pink and one white. 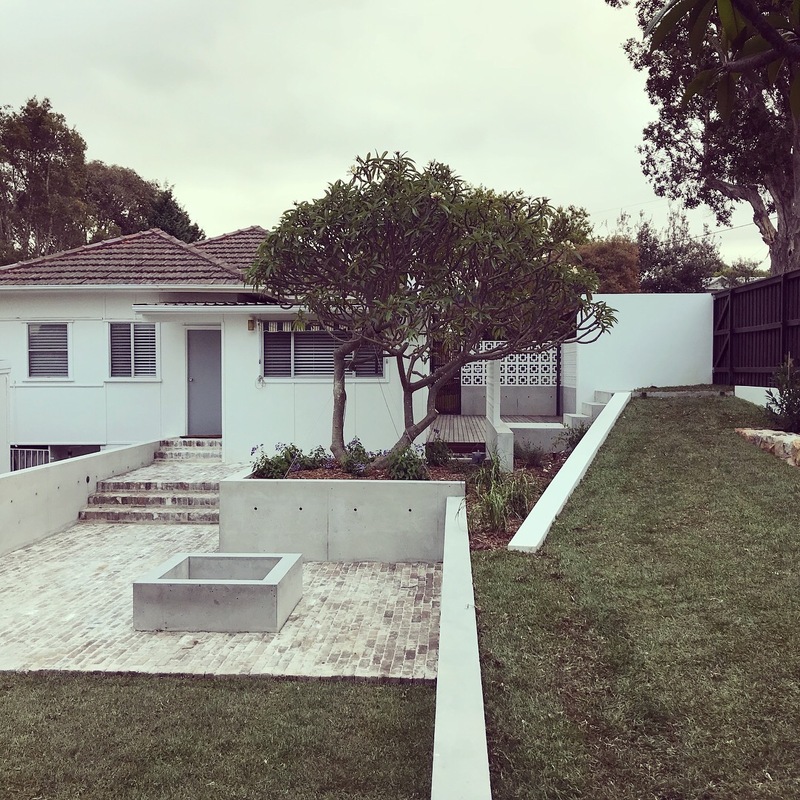 A series of platform and blade wall incisions cohesive with the natural slope of the land creates retained areas for edible planting, and living within the garden. 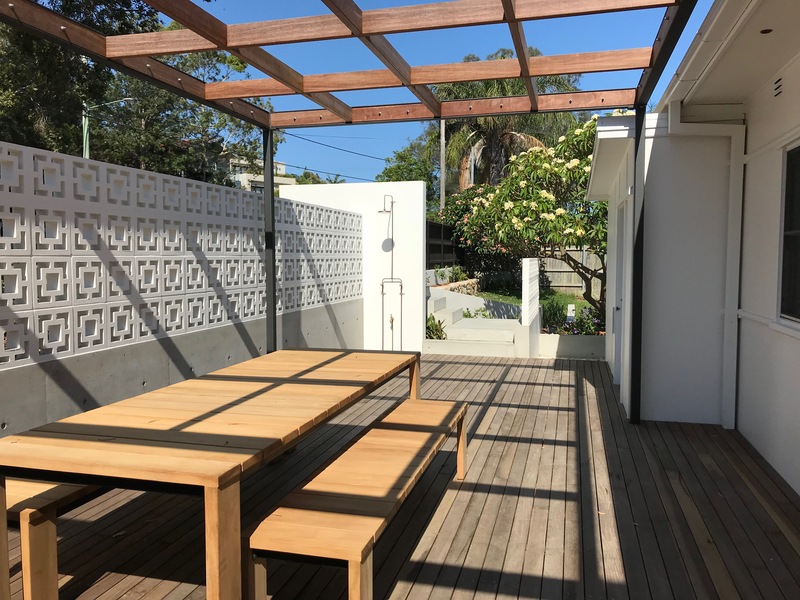 The existing white frangipani was re-positioned to become the centre piece of the rear yard. Privacy to the street is dealt with using plantings and mid century breezeblocks which are relics within the neighbourhood. 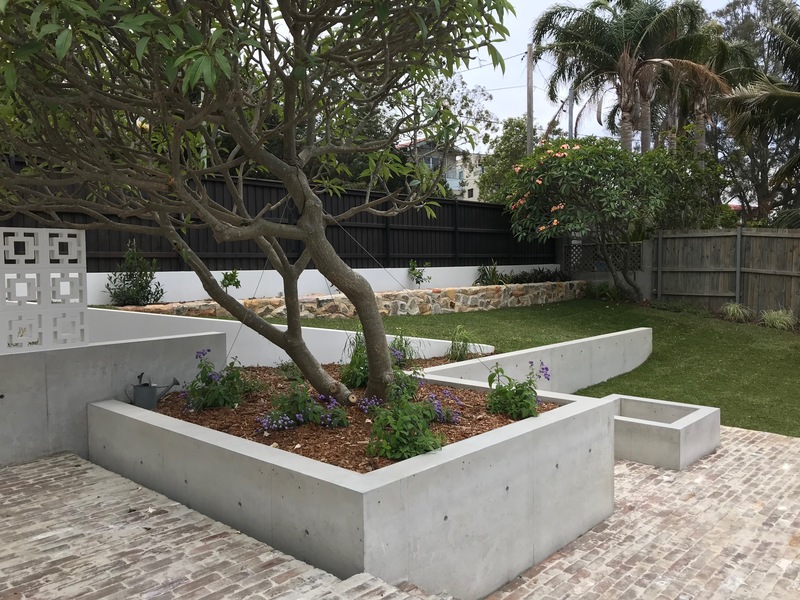 Materials include off form concrete, recycled bricks, Australian hardwoods, steel and convict picked sandstone found on-site in existing retaining walls and planter edges.